Word Dance Theater partners with local charitable organizations to bring targeted classes, workshops, and performing arts experiences to communities in need of physical, spiritual, emotional, and financial support. The National Cathedral School and Word Dance Theater are dedicated to providing students high-quality dance training, exposing students to different dance genres, and encouraging students creativity and expression. Since 2006 Word Dance Theater has partnered with the National Cathedral School's "Heritage Dance Series." 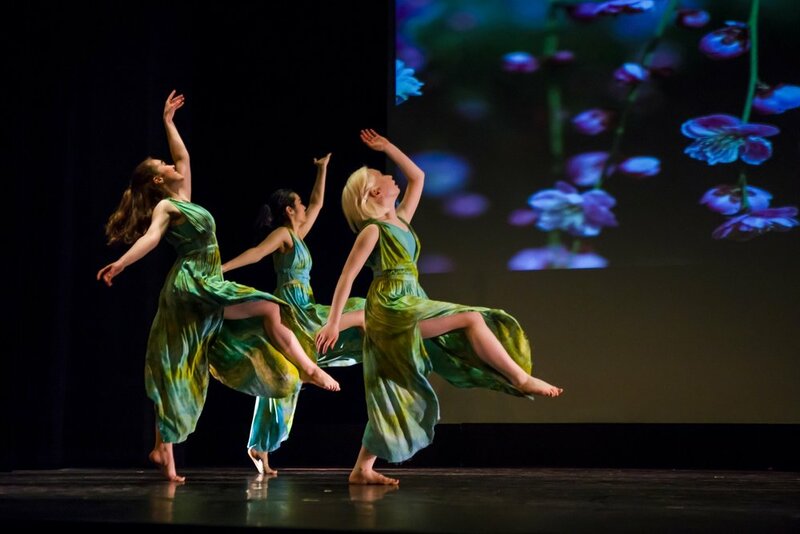 Every year students take Duncan technique classes and learn original Duncan repertory that is performed in the National Cathedral, the NCS Dance Gala, and the Flower Mart Festival. Advanced students are given the opportunity to intern with WDT to deepen their understanding of the Duncan Technique and explore their own artistry outside of the school setting. Every 4th Thursday Cynthia Word teaches RESTORE: Movement for Health. RESTORE classes are a unique combination of seated breath work with gentle stretching movements, leading to standing balance work and ending with joyous and simple movement through the studio, all accompanied by beautiful music. Since 2014, Word Dance Theater has provided the Washington School for Girls with one-week dance residencies for 3rd through 5th grade students. The residencies occur in the Fall and Spring of each year. Word Dance Theater arranges for each residency to have a partner in another art form, i.e. visual art, or poetry, or music. Each residency also has an aspirational theme such as “hope,” “women of power,” or “I am enough.” In their classes the students reflect on and discuss how the theme is expressed in the partner art of, for example, a painting or a poem. They then create their own dances to express their relationship to the theme through movement. At the end of the week there is an informal showing in which the students demonstrate their dances to parents, other students, and faculty. The students share their experiences, both verbally and through their dances and writings. The Phillips Collection, an exceptional collection of modern and contemporary art in a dynamic environment for collaboration, innovation, engagement with the world, scholarship, and new forms of public participation. Boston Children's Foundation | Rainbowdance, which gathers children, teachers, and parents around a parachute for one hour for the purpose of enhancing social empathy, self-confidence, and self-regulation. Center for Hellenic Studies, a premier research facility within Harvard University, dedicated to the reassertion of the humanism of the ancient world, centering on Hellenic civilization in its widest sense. To bring more performing arts to your community, contact info@worddance.org.